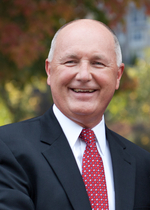 Pete Hoekstra is a former Fortune 500 business executive with Herman Miller who served in Congress for 18 years, representing Michigan's Second Congressional District from 1993 to 2011. He was the Chairman of the House Permanent Select Committee on Intelligence from 2004 through January 2007, and the top Republican on the committee until January 2011. He was responsible for leading congressional oversight of the U.S. intelligence community during its modernization to confront the threats of the 21st Century such as global Islamist terror and cyber warfare, including restructuring the intelligence community with landmark legislation following the 9-11 Commission report. He now serves as the Shillman Senior Fellow with the Investigative Project on Terrorism and is a frequent commentator and writer on radical Islamism. He can be reached by email at stopterror@aol.com.